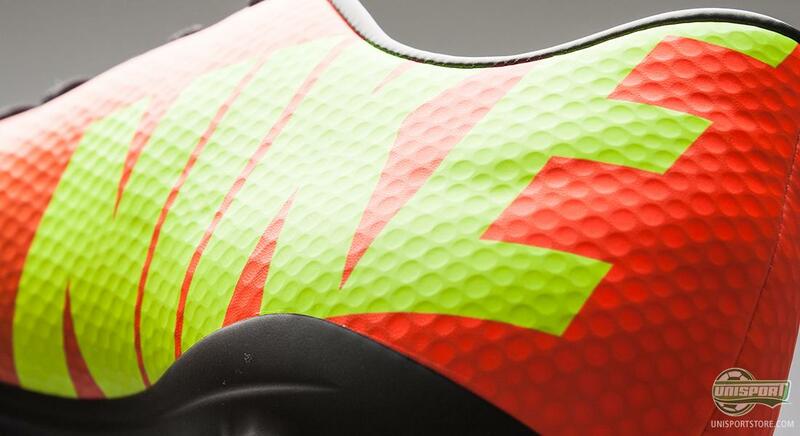 The Nike Mercurial Vapor IX Sunset/Volt-Total Crimson is now ready to take on the world and join its Fireberry/Electric Green-Red Plum partner on football pitches all over the globe. Some of the biggest rising stars in football will be wearing this wild colourway and it will be the first time that we are going to see the pro's wearing both launch colourways. 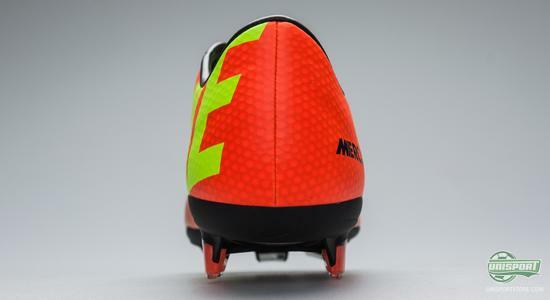 Neymar, Theo Walcott, Mario Götze, Stephan El Sharaawy and Xherdan Shaqiri may be considered some of the best young players in the world, and they also have in common that they will be wearing the new Nike Mercurial Vapor IX Sunset/Volt-Total Crimson. 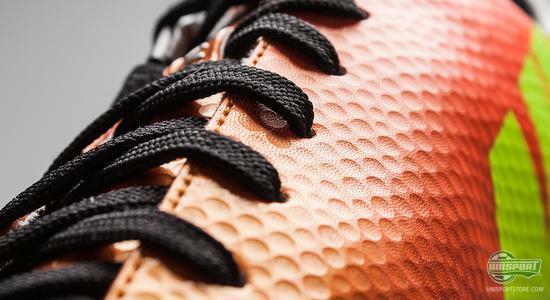 Hereby we will, for the first time, see both launch colourways get support from the pro's. 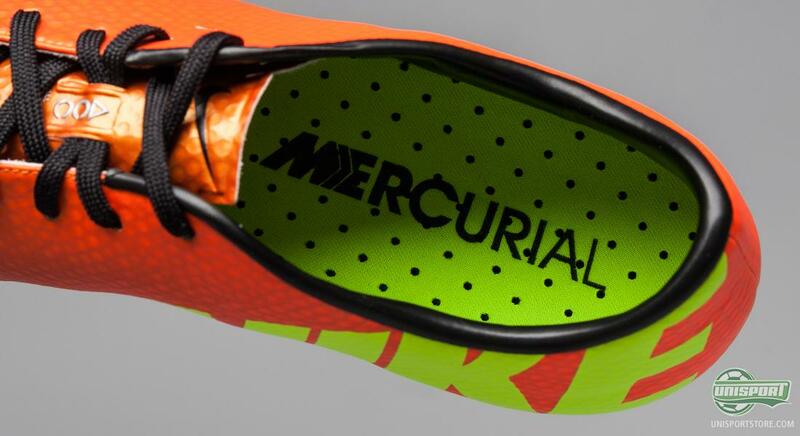 This is quite understandable, as the Mercurial Vapor IX truly captures the essence of speed with a 'mercurial' design. Now on the ninth generation of the world renowned silo, the expectations are still increasing for every new launch, but once again, Nike manages to deliver when it counts. 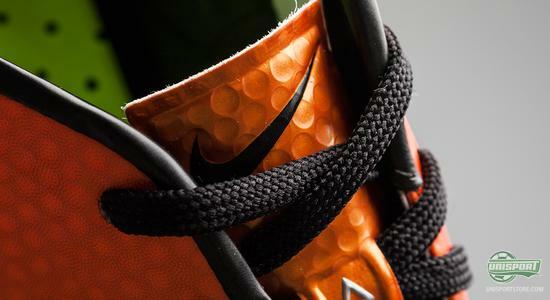 The design is unique, yet it still doesn't compromise the essence of the collection and we can only applaud this achievement. You can pre-order the Nike Mercurial Vapor IX Sunset/Volt-Total Crimson right here from tonight at 00.01  so keep it locked if you want to be among the very first to secure a pair. 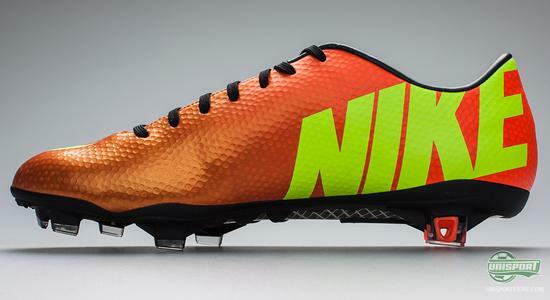 The graphical design has been changed substantially since the Vapor VIII, but once again, Nike have managed to make a boot that catches the eye right away. 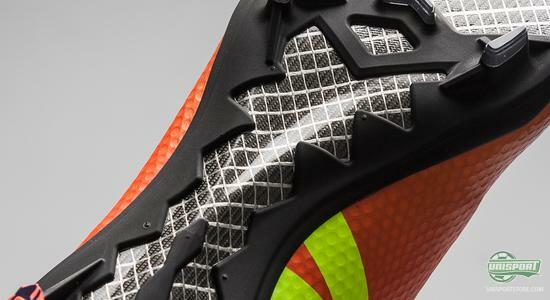 The Nike Mercurial Vapor IX is designed for the player who is not afraid to have the ball and who is neither afraid to do the unexpected. 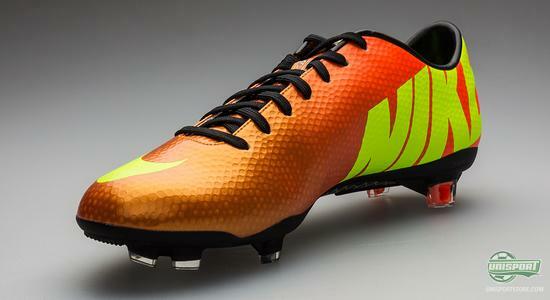 The Nike Mercurial Vapor IX Sunset/Volt-Total Crimson demands attention and most certainly also from the team mates, who, thanks to the loud colours, can easily pick out the player in question. The Nike Mercurial Vapor IX Sunset/Volt-Total Crimson has undergone some vast changes since its predecessor, but most importantly, Nike have chosen to stick with the elements that we applauded. The upper is still made of Teijin OLM12 microfibre, although it looks rather different from what we saw on the Vapor VIII, for which there is a specific reason. 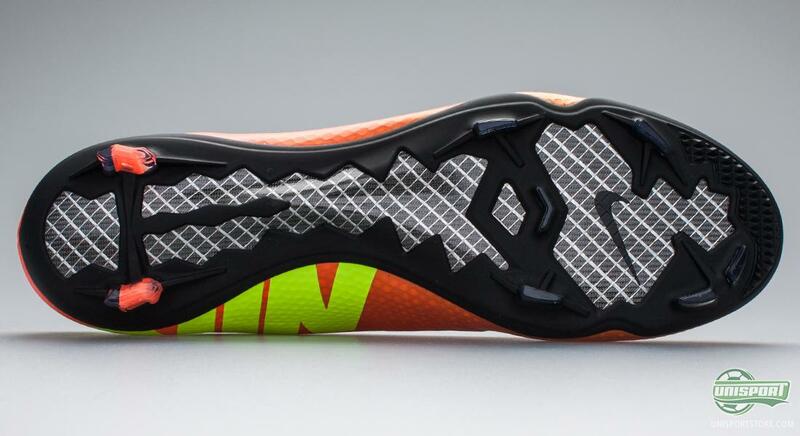 The upper has been treated with a brand new technology, which Nike calls Speed Control. 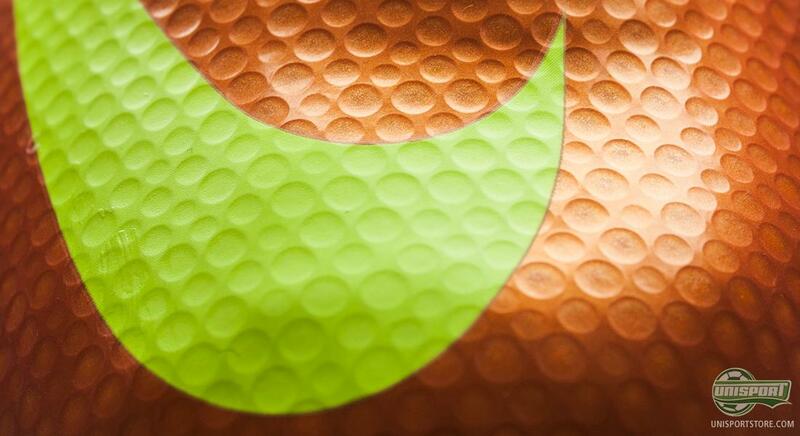 The special textured surface looks like the surface on a golf ball and the small crevices help to generate increased friction between boot and ball. This combines to give you better ball control and especially when you dribble at high speed, this will give you an increased feel for the ball, thus giving you the confidence to take on chances, that might end up winning you the game. Nike have kept their ACC-technology (All Conditions Control), that is a sort of compound, that is incorporated into the material, which improves your ball-grip when playing in challenging conditions. 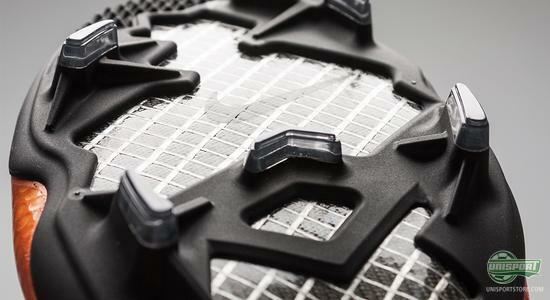 In other words you get the same prerequisites in the poring rain, as you would otherwise have on a lovely summers eve. It is also worth noting, that ACC is not just a coating, but that it is incorporated into the uppers material and the effect will therefore not diminish over time. Nike Mercurial Vapor IX Sunset/Volt/Total Crimson also helps to build on the amazing legacy already left by its legendary predecessors and in fact the Mercurial is now the oldest speed boot-silo in the world  And Nike hit the nail right on the head with this ninth generation. 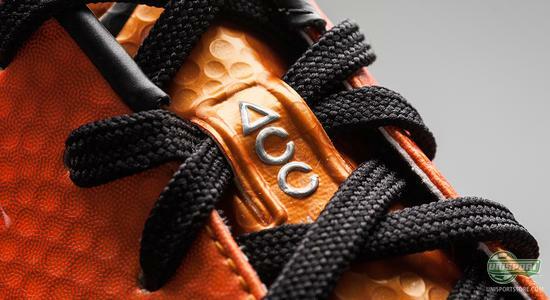 The Americans have slightly changed the outsole, but it is not something, that affects or changes the fit, as it bases itself on the same last as the Vapor VIII. You can therefore also count on buying the same size, as you did on the boot before it. The change in the meantime is, that it is no longer is just a single layer of fibreglass that makes up the sole plate, this has supplemented with an additional layer, which greatly improves the stability. 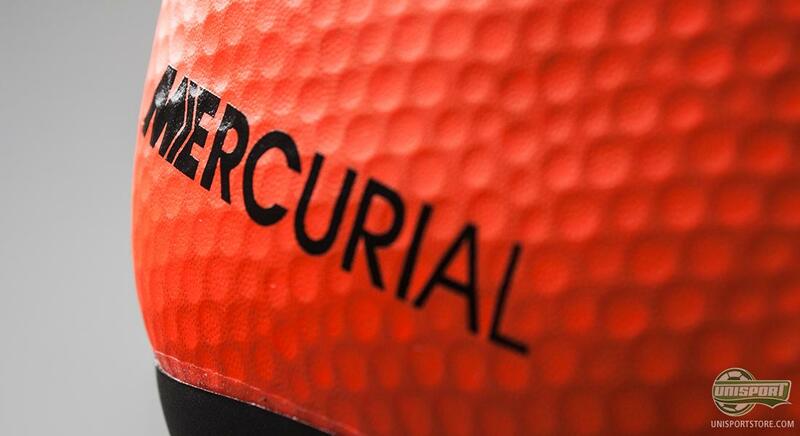 The stud-configuration is unchanged on the FG-models and SG Pro-models and you are therefore guaranteed the same impressive pitch grip, that the revolutionising configuration offers. It is also worth noting, that Nike Mercurial Vapor IX will as the first ever Vapor, be available with an AG stud-configuration, for use on artificial grass. 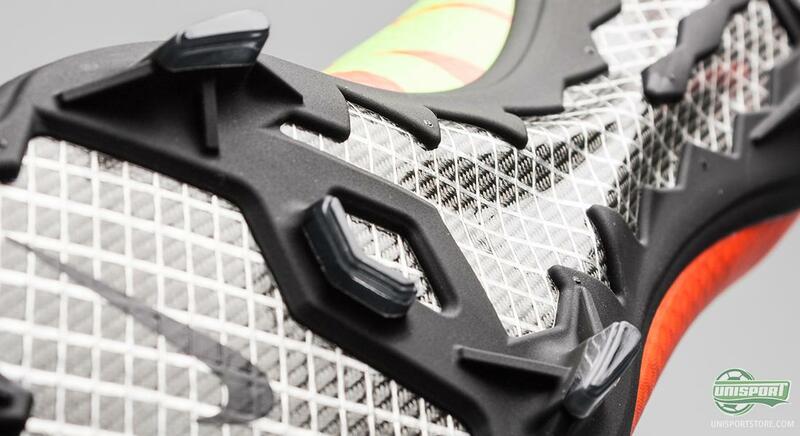 This means you can use the popular top-model on the surface of choice, for play in the winter, without jeopardising your right to return. 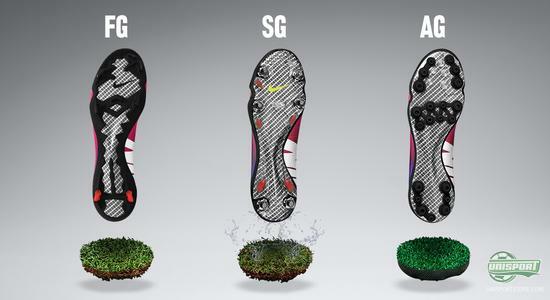 Nike Mercurial Vapor IX has now landed in two new colourways, that will both be used by some of the games biggest stars. 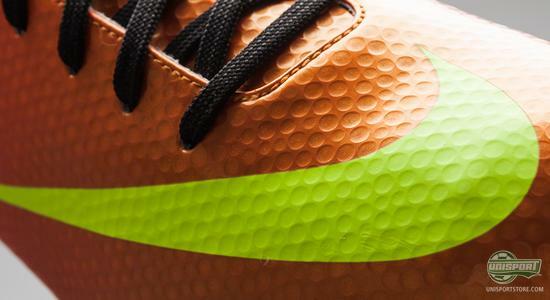 What do you think about the Sunset/Volt/Total Crimson colourway? Is it right on the money? Share your thoughts in the comment-section down below.